Eventually leaving Idaho for the safety of Oregon… she has become a modern-day Harriet Tubman, co-founding The Undergreen Railroad, which helps people raise money and organize interstate moves to medical marijuana-friendly states. In the War on Cannabis, there have been few precious victories. The pages of history will remember this war as one filled with more innocent casualties than any war in history. There are more POW’s in the War on Marijuana, more lives destroyed by the merciless draconian laws than some land wars. Here is the heroic story of one of the thousands of modern day Freedom Fighters. Lindsey is a marijuana refugee, forced to flee her home state of Idaho 2 years ago to move to Oregon. She has multiple sclerosis. While living in Idaho, she had used cannabis to treat her illness, giving her back her life. She outspokenly advocated for cannabis. While on a hiking trip with her husband and a family friend, they had secured a trusted babysitter. At school that day, her 11-year-old son Laustin was brought into the office and accused of bringing a “green leafy substance” to school that one of his friends ate. For all anyone knows, it could have been lettuce or kale, because neither the school or the police they called bothered to test the child or the “green leafy substance”. Instead, the school interrogated the small boy like a murder suspect long after he passed the point of tears, asking if there was pot at the family’s house, which he denied. He knew his mother had a medicine that helped her illness, but didn’t know if it was at the house. The police put the children in the back of squad cars to transport them to the home and proceeded to conduct an illegal search for over 3 hours before getting a warrant signed by a judge. They seized the children of both Rinehart, and the friend who was with her on the trip, Sara Caldwell. Sara’s children would spend the next three days in foster care, but Lindsey’s children were in foster care for nearly 3 weeks. A close family friend who worked for Child Protective Services was even pulled into HR and asked to resign when the story went public. The friend says they believe Laustin was targeted because his mother was a vocal advocate. 8 years ago, Lindsey married the love of her life. Less than 2 months after marrying her husband Josh, Lindsey was diagnosed with MS. They strove to have a child before she started treatment because the drugs she would have to take would kill any chance of pregnancy. After giving birth to her younger son, Elijah, her condition worsened, and she suffered violent MS attacks. The lesions in her brain from the MS caused horrific pain to randomly consume her body, sometimes leaving her hands paralyzed long afterward. The toxic pharmaceuticals prescribed to treat her MS cost $5,000 to $6,000 a month. She began experimenting with cannabis to help her condition after much research and discovered in it a miraculous level of relief. Her attacks stopped. Within a year, she was a strong advocate, becoming the Director of Compassionate Idaho, Chair of the Steering Committee of Compassionate Idaho Americans for Safe Access (ASA), and a member of Mom’s for Marijuana. 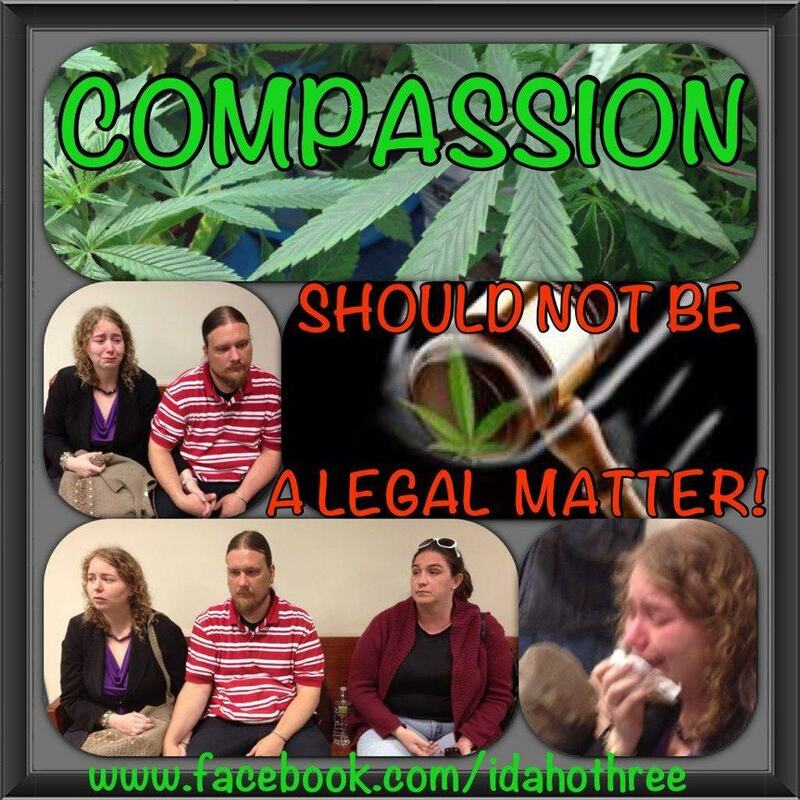 Her husband Josh became Executive Director of Idaho NORML and Vice Chair for Idaho ASA. Their friend Sarah Caldwell is a co-founder and Finance Manager of Compassionate Idaho and the Treasurer for Compassionate Idaho ASA. Caldwell and the Rineharts organize activist events around the state and are very well known. In order to get her children back, Lindsey had to stop using cannabis to treat her MS. Her condition rapidly deteriorated. Her will to fight, however, grew stronger. Eventually leaving Idaho for the safety of Oregon, where she could legally medicate, she improved and continued to fight for others. Now she has become a modern-day Harriet Tubman, co-founding The Undergreen Railroad, which helps people raise money and organize interstate moves to medical marijuana-friendly states. In addition, she contributes to Cannabis Now magazine as a freelance writer, giving insight on the struggle of others. Her organization strives to help both medical patients and recreational users move from non-legal states to cannabis-friendly ones. There are hundreds of families who have made the same journey, and thousands more who wish they could. The enemy kidnaps our children and steals our homes and possessions. They rob our sick of the dignity to live or die without pain. They force us into the slavery of addictive pharmaceuticals and laugh at the miracles of our medicine. Their warriors call us a joke. Their leaders call us worthless, but some of the greatest minds of history are members of our ranks. We are a people of peace, but we will not back down. We will fight, and we will win because truth is on our side. We are the future. Do you have a story of persecution because you use cannabis? Have you been ostracized, forced to move for your health, or had to fight to keep your children? Have you, like so many others, had possessions and money stolen by the government? Share your story with us on social media or in the comments section below.